To see it is to fall in love! 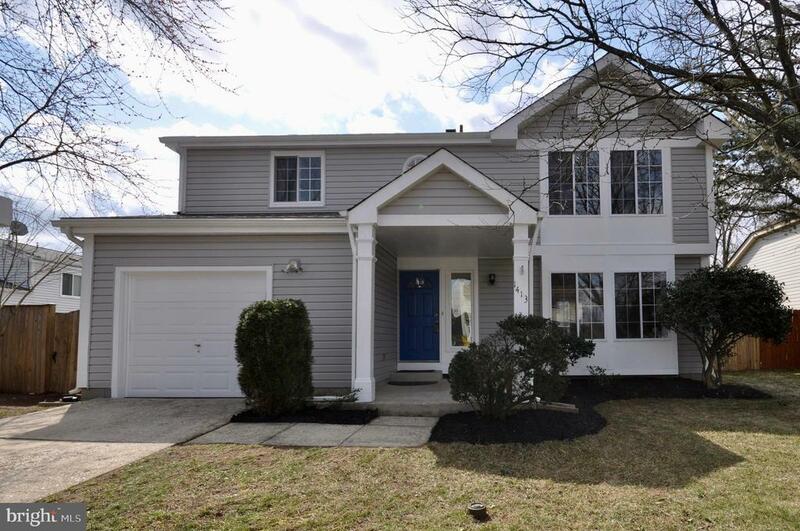 This classic colonial layout with attached garage is the most sought after in the neighborhood, but colonials rarely come on the market here. It is rarer still to find one in such beautiful, key ready condition! You can move right in and begin to enjoy your kitchen with refreshed, on trend gray cabinets, new quartz counters, and (almost) all new stainless appliances. (Only the refrigerator was pre-existing). The new driftwood-look water resistant luxury vinyl tile floors give a beachy vibe, and they are easier on your feet and back than tile floors. You have plenty of room to entertain with large living and dining rooms plus a sunroom and family room off of the kitchen. Having 4 sizable bedrooms upstairs and great closet space gives you the breathing room you seek. A hall bathroom has an extended vanity and tub/shower combination, and a gorgeous, newly remodeled and expanded owners bathroom means no need to share with the kids or guests. Getting ready for the day is a pleasure in the owners en suite with its large tiled shower and double vanity with marble countertop. On cool evenings, you can curl up in front of your wood-burning fireplace with a nice book or glass of wine, but in the coming spring and summer warmth, youll want to be out on the screened deck, watching the kids or pets as they play in the fenced backyard. Theres a concrete pad waiting for your hot tub, too. (Dreamy!) Location is super convenient to Fort Meade (5 miles) and Arundel Mills (2 miles), the largest mall in Maryland and your shopping, dining, entertainment and gaming destination. Downtown Baltimore is a short commute, only 14 miles away.